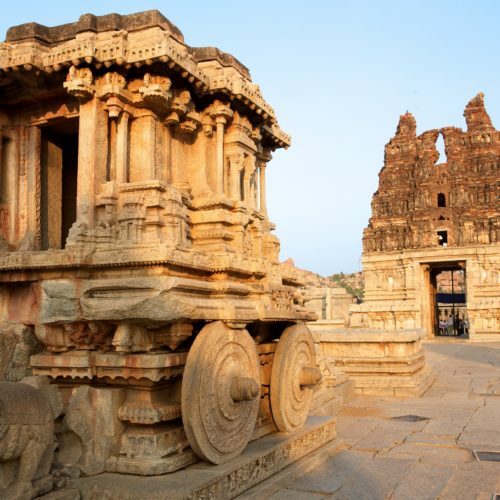 Experience one of India’s most ancient empires when you visit the awe inspiring Vijayanagar ruins at Hampi. 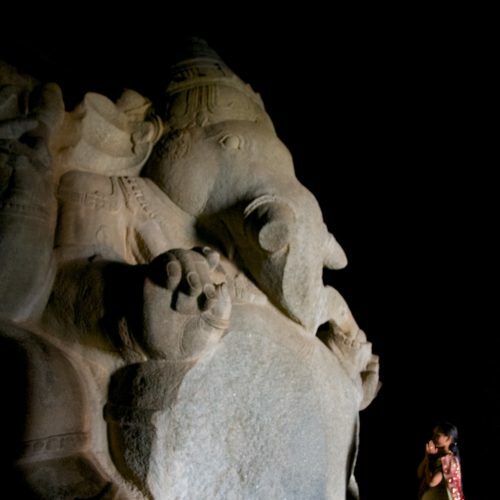 Located on the banks of the Tungabhadra River, the vast boulder strewn landscape, punctuated with banana plantations contains the scattered ruins of the city of victory dating back to the 14th century AD. During the 14th and 16th centuries this was one of the most powerful Hindu cities before it was sacked by the Muslim siege in the late sixteenth century. Attracting traders from all over the world, the Portuguese traveller Domingo Paez recorded his experience in 1520 of a dazzling empire of extreme wealth replete with endless palaces, elephant stables, temples and bazaars brimming in jewels and silks. 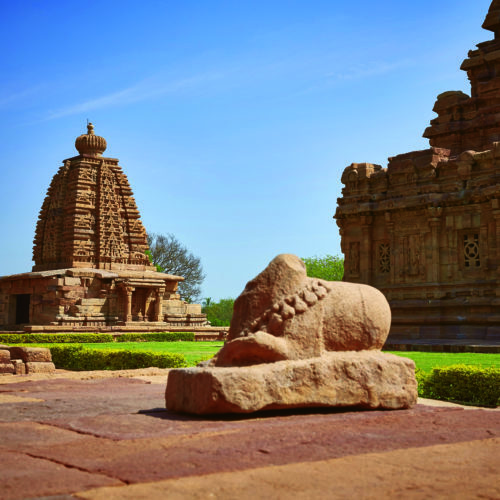 Today one can still discover the atmospheric ruins of the temple complexes, palaces, shrines and memorials of this UNESCO World Heritage Site and reside at the Kishkinda Camp, the latest offering from the clever hands behind the Ultimate Travelling Camp. 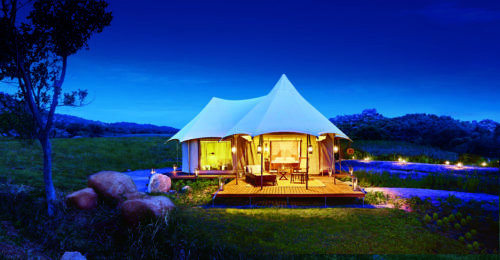 Set within the magnificent landscape, stay in one of the 10 exclusive colonial, safari themed, en-suite tents. 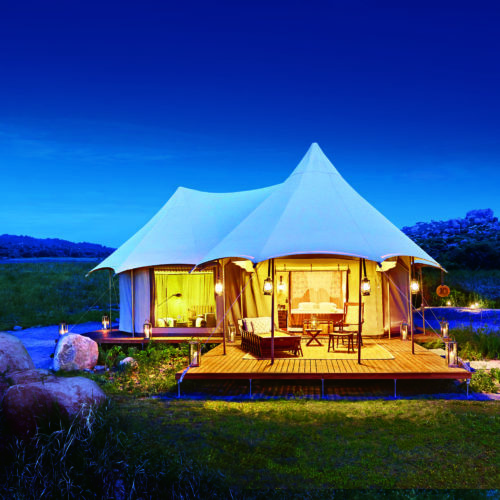 The interiors are replete with four poster beds, the finest linens, sumptuous armchairs, leather bound trunks all of which provide a true oasis from the towering landscape. Experience personalised butler service and dine on locally grown food prepared by the award-winning chefs. Spend your days with a host of experienced hand-picked guides to explore the ruins of Hampi and beyond. The nearby Daroji Sloth Bear Sanctuary is a wonderful example of local conservation and well worth a visit. Or spend an afternoon on the backwaters of the Tungabhadra River looking out for the wealth of exotic resident and migratory birds. Perhaps take a turn on a local coracle boat (locally known as a Dongi), navigating the whirlpools, and crocodiles of this impressive river. Beyond the ruins one can also venture to the local district of Sandur and see the indigenous nomadic Banjaras people and their beautiful crafts.